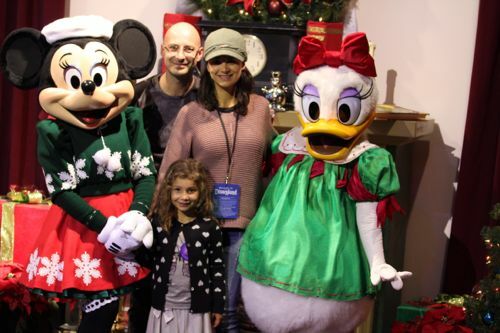 Last week my family and I were lucky enough to be invited to see for ourselves the transformation the Disneyland Resort goes through to celebrate the holidays. Simply put, it’s magical and the festive holiday feeling is all around you. 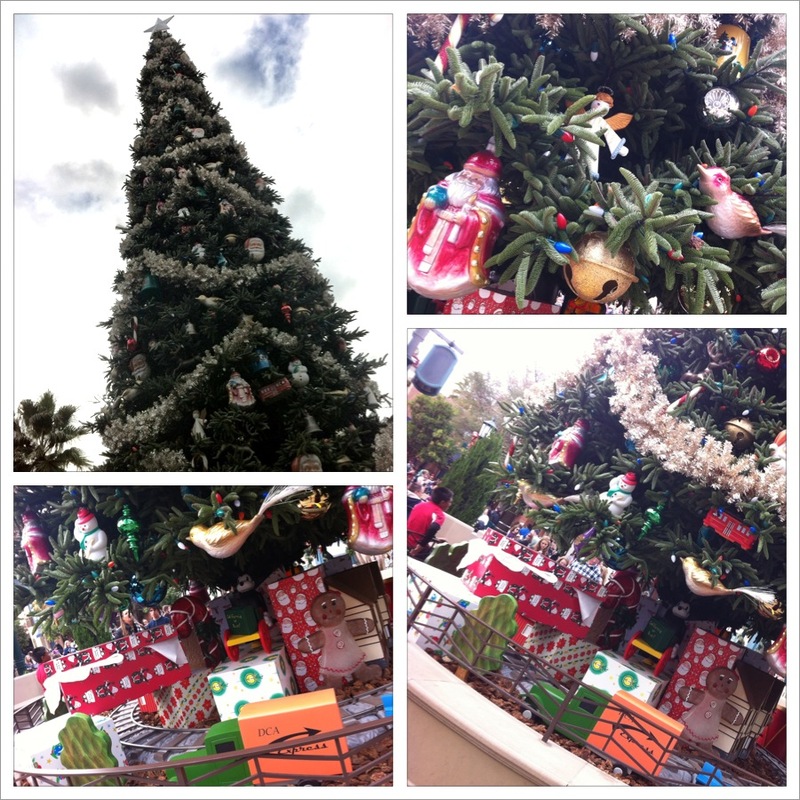 In true Disney style, no detail is spared and the result is the feeling that the holidays are here. We were there just for one day, so we focused on seeing and doing as much of the special holiday attractions and shows at both Disneyland and California Adventure as we could, but it’s definitely not easy to do in one day. Even so, we took in as much as possible and even got some beautiful family pictures with our PhotoPass. If you’re planning on checking out Disneyland Resort during the holidays, here are 5 must-do’s you should plan for your visit before Jan. 6, 2013. 1. 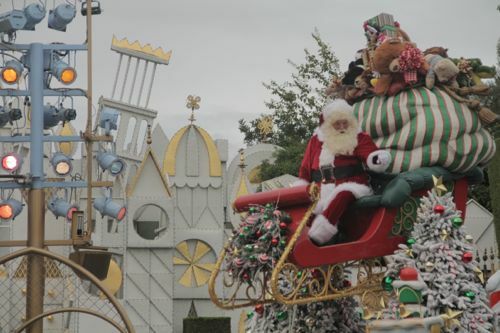 “A Christmas Fantasy Parade” – Children just adore the Disneyland parades and this one is extra special because it features Santa Claus and many special holiday characters like tin soldiers, snowflake faries, dancing reindeers and more. Of course, all the favorite Disney Princesses, Mickey, Minnie and other characters make an appearance as well. 2. “Believe…In Holiday Magic” fireworks show happens every night during the holiday season and it’s the grandest spectacle of them all, culminating with a swirling snowfall. The show bursts with holiday magic and celebrates the best of this season in true splendor. 3. 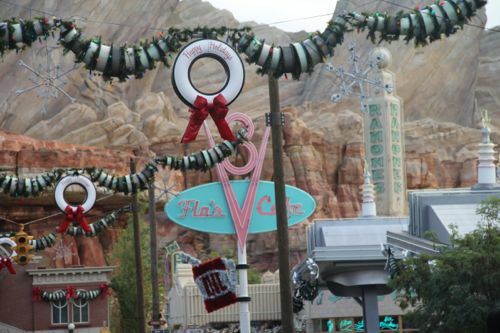 Cars Land in California Adventure has been decorated to the T with fun holiday details all along Route 66. Tires hang as wreaths all throughout Radiator Springs and each address along Route 66 has been decorated with whimsical and very unique touches. 4. 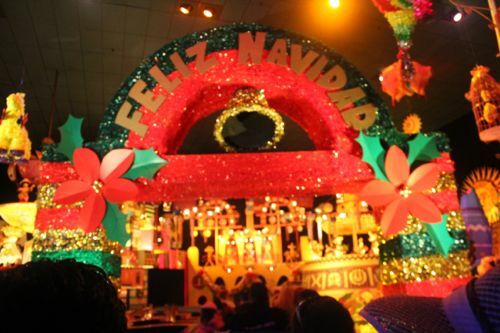 “it’s a small world” holiday will have you singing-out-loud to Jingle Bells while you visit with the children of many nations as they celebrate their special holiday traditions. Our favorite, of course, was the area that features Mexico and Latin America because it was just bursting with color and life. 5. A lazy stroll down Buena Vista Street in California Adventure will allow you to take in all the many holiday details that have been added to this street that was inspired by the 1920′s Los Angeles that Walt Disney arrived to. It’s adorned by a 50-foot tall Christmas tree that’s decorated with vintage ornaments and beautiful lights. Aside from those attractions, you should also make sure you get a free PhotoPass and take advantage of the many opportunities you’ll get to have a high-quality picture taken of you and your whole family with many fabulous backgrounds. You never know if that could end up being your favorite holiday picture! We’re also very excited that Disneyland will once again celebrate Three Kings Day/Día de los Reyes Magos next year from Jan, 4-6 in Fronteirland. This is such a special occasion to show your child the foods, special decor, and traditions surrounding this Latino holiday we love to embrace. Read: Disneyland Celebrates Three Kings Day…and we were there! To check out a slideshow of our favorite Disneyland Resort holiday activities, go here. I haven’t seen Carsland at Christmas time, but I will, and it gives me something to look forward to, and another reason to visit the Parks. I really hope you do get to visit again because there’s always new memories to be made. That’s what’s so magical about the Disney parks. Carsland is just amazing because of all the little details and the rides are way too much fun!